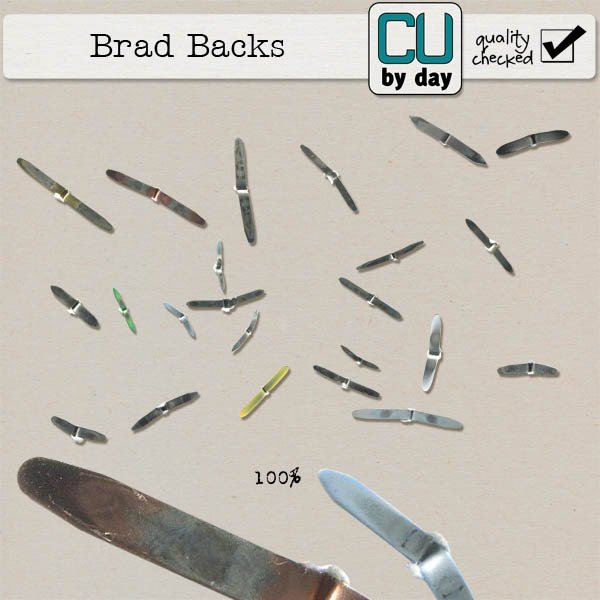 CU by Day: Brads brads and more brads!! Happy Friday (again) and welcome to my blog! I've been in a fastener mood lately.. buttons may be next.. but this week I've brought you two packs of brads, fronts and backs. 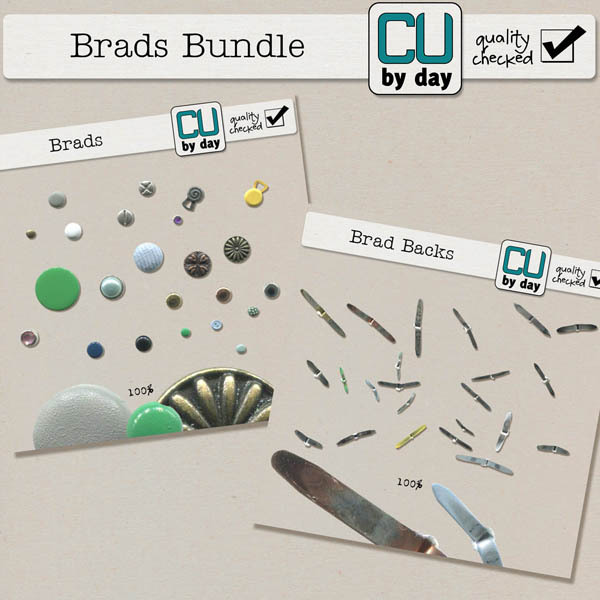 Each pack has 23 pieces and such variety it will be the only brad pack you ever need! And I've also bundled them for one low price, but this weekend that price is even lower.. get both packs.. that's 46 pieces, for only $5 now through Monday only! 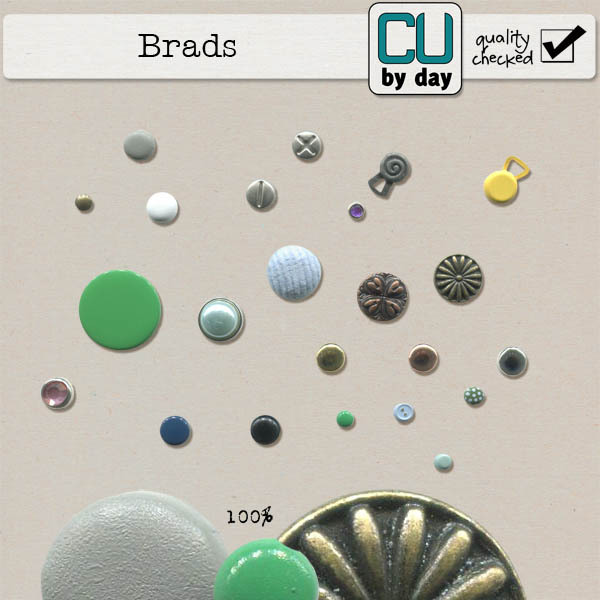 Get them at CU Digitals before time runs out on this fab deal! !